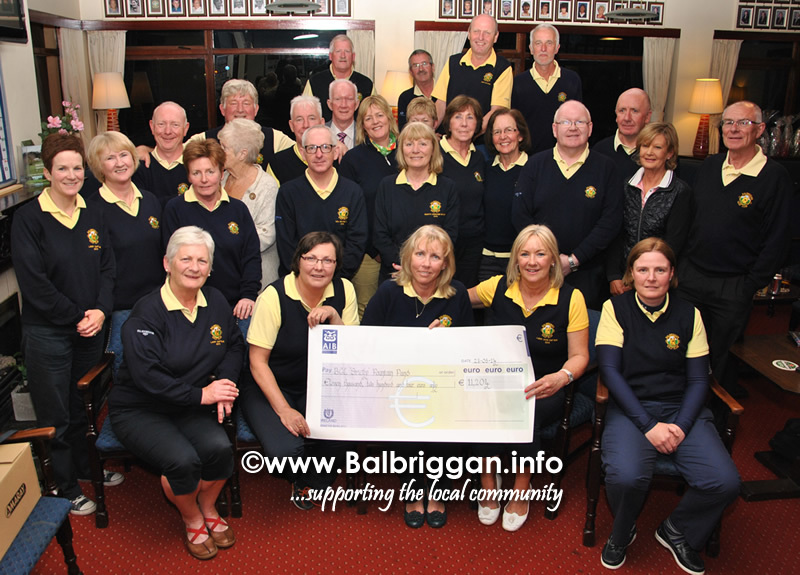 Balbriggan Golf Club held a Strictly Come Dancing fundraiser on 19th April and the night was a huge success. Organising committee Deirdre Foran, Barbara Kenny Collette Guildea, Rachel Mc Evoy & Frances Whelan and the dancers put on a fantastic show as did Ann Gallen and Tim Sheehy who were MC’s on the night. Balbriggan Golf Club would like to take this opportunity to thank everyone who participated on the night, those who volunteered who helped to organise and run the event to Damien White for taking photographs throughout the many nights of practices and all who attended and were so generous with their support of all the acts. The Golf Club would also like to thank all the very generous sponsors and a particular thank to the Bracken Court Hotel who sponsored the venue on the night and for the use of the Martello room for the last 3 months. Rumour has it that they are already working on a project for next year as it is the clubs 70th anniversary but Strictly Come Dancing will be hard to top!